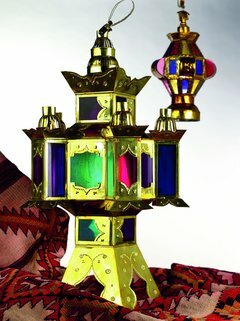 Mövenpick Hotel & Resort Al Bida’a Kuwait Celebrates the holy month of Ramadan with irresistible packages. Mövenpick Hotel & Resort Al Bida’a Kuwait promises its guests an unforgettable Ramadan experience. Ramadan is a time for family and friends. It is a time to renew and strengthen ties. Mövenpick Hotel & Resort Al Bida’a offers its guests an opportunity to create great memories with their loved ones by celebrating the most important month of the Islamic calendar with traditional Ramadan festivities. Guests can embrace the values and tradition of Ramadan by breaking their fast with a traditional Iftar at the Breeze Restaurant which offers beautiful indoors and alfresco settings. The Ramadan experience at the resort includes live cooking stations that will delight the senses, with cuisines showcasing the best of Middle Eastern culinary traditions. And to add to the experience, guests can also enjoy traditional music of the oud and tambourine that will help soothe the senses. For those in need of a smoke, a variety of sheesha will be available for an extra charge. The Iftar, Ghabka, and Sohour buffets will offer guests an international culinary journey, prepared by the master chefs of Mövenpick Al Bida’a. A wide range of delicacies including cold salads, mezzes, fatayer, sambousek, mixed grill, and oriental sweets will please almost every palate, in an ambience that is typically Middle Eastern. ‘The hotel’s Ramadan offering will be a compelling experience that will be in line with the spirit of the season .’ Said Maged Gubr the hotel’s General Manager. ‘Our aim is to create an ambience that will reflect the true spirit of the holy month and provide our guests with a complete experience from sunset to Suhour.’ Added Maged.